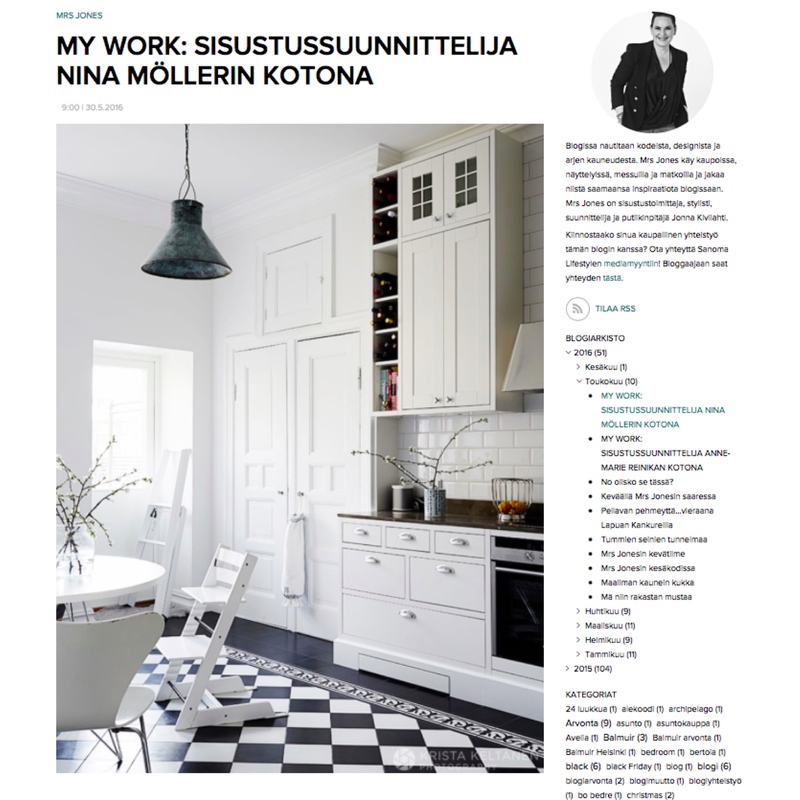 We had the pleasure of working with Jonna Kivilahti and Krista Keltanen when featuring Nina’s home in Avotakka’s January 2016 issue. 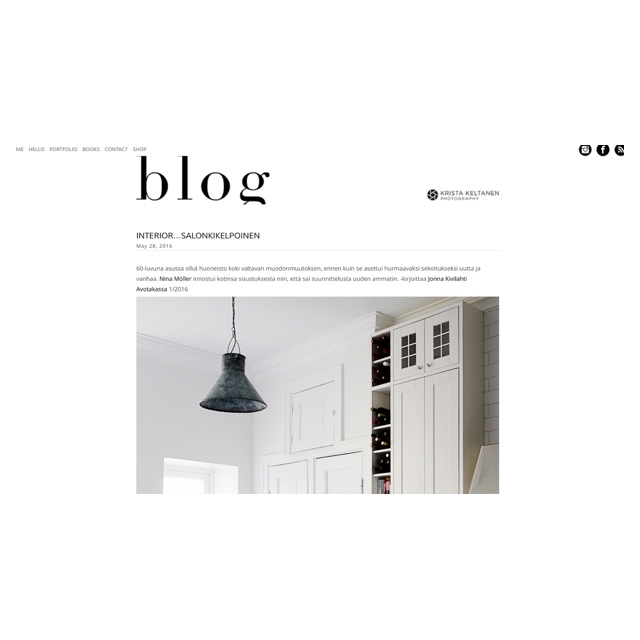 Jonna Kivilahti is a renowned interior journalist, designer, stylist, lifestyle shop owner and blogger. Jonna wrote the feature for Avotakka and the amazingly talented Krista Keltanen took the beautiful pictures. If you missed the January issue fret not! Both Jonna and Krista featured the pictures on their blogs. Thank you darlings for that. You can find their blogs here and here. Jonna Kivilahti’s lifestyle shop Mrs. Jones is situated in Haukilahti Espoo. Do go have a look at her lovely shop, it’s so nice!